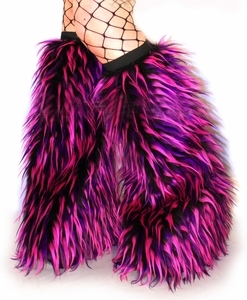 The newest addition to our rave clothing line - New monster fluffies - Hot Pink, Purple and Black Furry Leg warmers! Perfect for Burning Man and other Rave festivals. Add them over your boots, sneakers or platforms to complete your gorgeous Raver outfit!